The band also posted a standalone track from another, unrelated recording session. 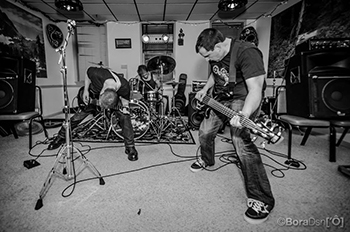 Pigeon Down is sort of a mix of “mathcore” and a few other “cores,” and sounds pissed. We’re fans of the band around here, and Commonwealth doesn’t shake our appreciation of these three guys. – Pigeon Down demo review. – Split cassette with Colombian Necktie. This entry was posted in News and tagged grindcore, mathcore, Pigeon Down, Virginia by Editor. Bookmark the permalink.